Live, learn and grow at a place where community comes first. What matters to you? At this time in your life, we understand you’re not looking for a summer camp or cruise ship vacation. You’re interested in living in a community that celebrates your past, your present and your future. A place that promises a rich and rewarding lifestyle. Neighbors who understand where you are in life. And a staff who does, too. 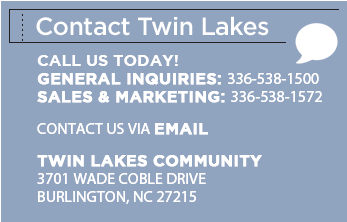 Whatever it is, you’ll find it here at Twin Lakes Community. 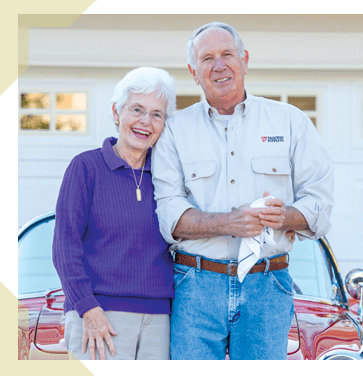 Ideally located in the heart of North Carolina, Twin Lakes Community is highly-regarded as one of the state’s premier retirement communities. 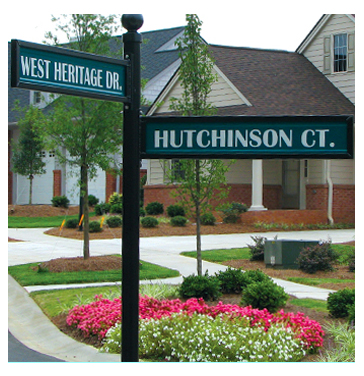 Our beautiful 218 acre community is home to over 500 independent living residents enjoying Life at the Lakes. 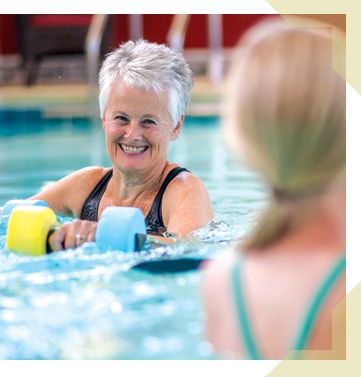 They come from all over the country bringing diverse backgrounds, experiences, and expertise to create a community of connections and caring where people of all types thrive. about what you give up, but what you’ve gained.